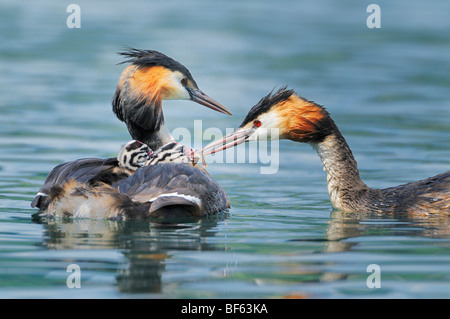 A great crested grebe, Podiceps cristatus, with a crab in its beak. 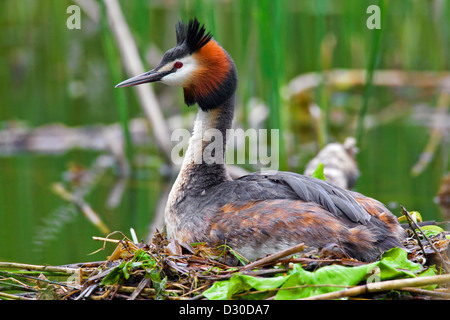 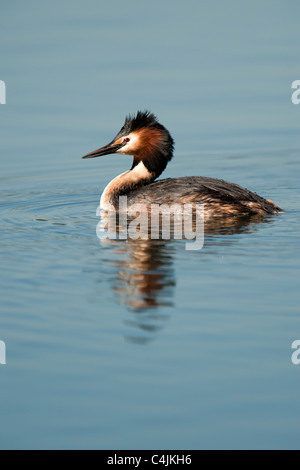 Great Crested Grebe (Podiceps cristatus). 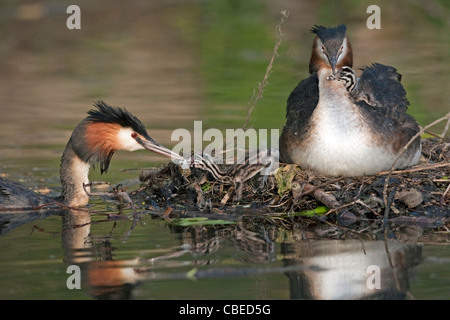 Adult feeding chicks on nest. 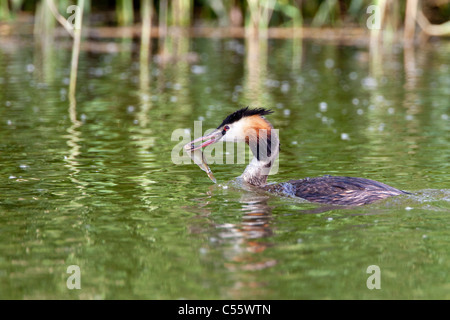 The Netherlands, Werkendam, De Biesbosch national park. 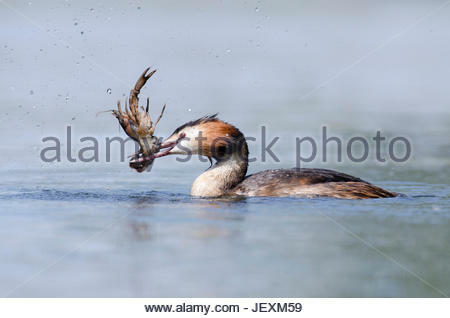 Great Crested Grebe, Podiceps cristatus, with fish. 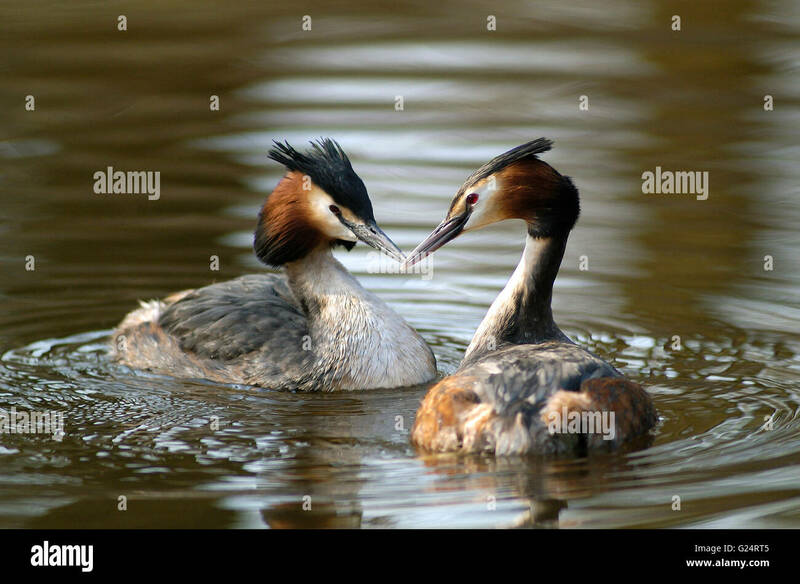 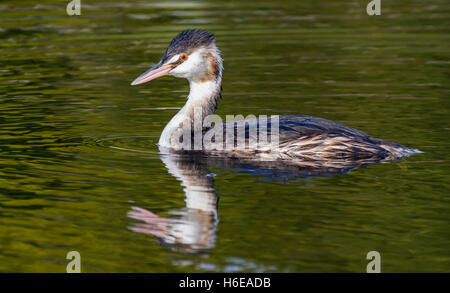 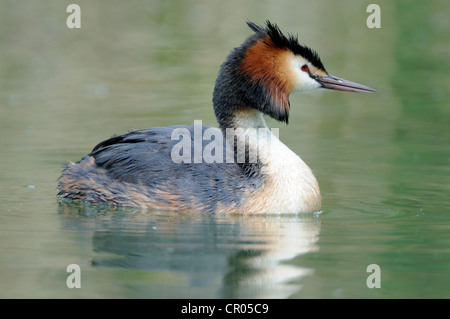 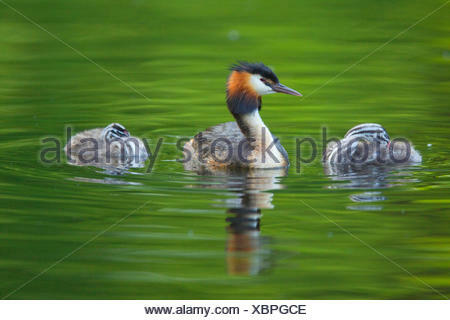 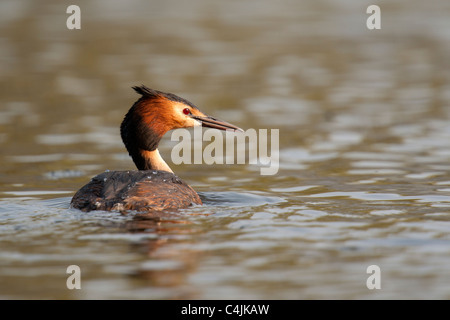 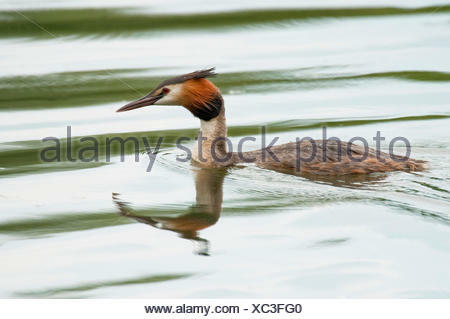 Great crested grebe (Podiceps cristatus) in non-breeding plumage, swimming in water in West Sussex, England, UK.